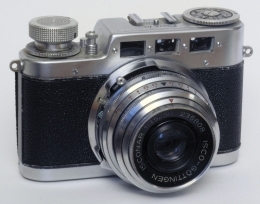 For a few years Peter Geisler’s webpages featuring the German DIAX Cameras (1947 – 1957) have been unavailable. Now the pages have found a new home and a new style, but the contents is the same. Any important updates will be provided to the reader.